The Punjab assembly polls has come to an end on February 4th. Re-polling if required will be updated as soon as official date will come out. All of the votes will be counted on March 11th. Aam Adami Party on the opinion polls has a leading scale of 80, and all the Indian news Channels say that this isn’t a surprise based on all sources and data etc. According to a few reports the voter turnout was around 70% till 5PM on the booths. The voting in Goa has also ended peacefully, with only minor problems.The first time female voters in Goa, were getting pink teddy bears.Those polling booths have been specially developed for the female voters.The voter turnout was very high, around 83% was calculated till 5PM. Re-polling in Goa was today at one booth in Margao constituency. There were several reports that the election officer who was on duty did not follow the procedures. The election commission of India has announced official dates for casting the votes, polling schedule and date of vote counting in Uttar Pradesh. After the announcement of polling dates in UP, the political activity is getting steam. 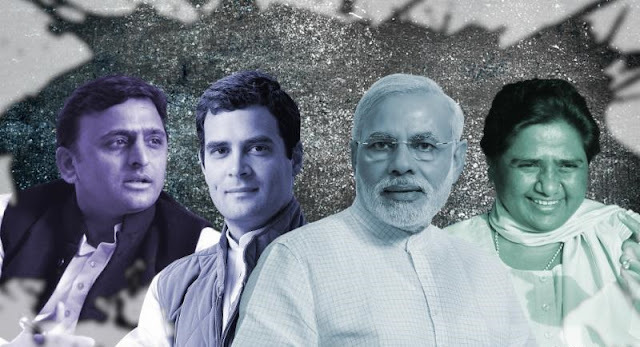 The elections in Uttar Pradesh have been separated in seven phases. The first phase of the elections is on February 11, then the second phase will be held on February 15, the third on 19. The forth and fifth phase would be held on February 23 and 27. Sixth and seventh phase will be on March 4th and 8th. All the votes will be counted on March 11th. A recent survey conducted on UP Polls by FourthLion Technologies, a data analytics and public opinion polling firm, for IndiaSpend .Though the results are on support of BJP (28%), SP(18%) and BSP(4%) but still 40% of UP voters said they still don’t know which political party they will vote for. Among them 45% are women. So it's still tough to say or declare that which party is going to win the India's largest state -Uttar Pradesh assembly elections 2017 with voters 138 million. Get all the live updates on UP Elections and Assembly Elections 2017 Results on YuppTV.